The MSE Equity Price Index registered its third consecutive increase with a rise of a further 0.15% to yet another fresh 20-month high of 4,742.218 points. The index advanced mainly due to the continued recovery in the share price of BOV. A further five equities also trended in positive territory while six equities, including HSBC, GO and IHI, drifted lower on Wednesday. 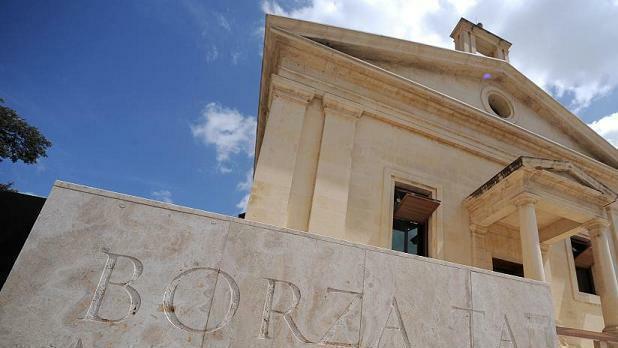 Bank of Valletta plc extended its recent positive run as it added on to its 5-month high reached last Monday. The equity touched an intra-day high of €1.48 before easing partially lower to close at the €1.455 level which still represents a 3.9% increase over the previous closing price. A total of 108,261 shares changed hands. Last Friday, the bank published its 2018 financial statements revealing a net profit of €51.4 million after accounting for a €75 million litigation provision which had already been disclosed in the 2018 interim report. Excluding the €75 million litigation provision, adjusted operating profits of almost €138 million were 11.3% higher than the annualised figure of €124.4 million for the 2016/17 financial year. The board of directors are recommending a bonus share issue of one bonus share for every 10 shares held which will be allotted to shareholders as at close of trading on June 6, 2019. In the banking segment, FIMBank plc also edged 1.5% higher to regain the $0.69 level across 17,818 shares. The trade finance specialist bank is scheduled to publish its 2018 full-year results on Saturday March 23. Similarly, BMIT Technologies plc edged almost 1% higher to close at the €0.52 level after failing to hold on to an intra-day high of €0.525 across nine deals totalling 63,000 shares. Malta Properties Company plc climbed 1.7% to €0.61 on strong volumes of 119,801 shares. The company on Wednesday published its 2018 results revealing a significant improvement in profitability to €10.6 million largely due to gains registered on the sale of property and an upward revaluation of other real estate holdings. For the first time, the directors recommended a final net dividend €0.01 per share to all shareholders as at the close of trading on May 9, 2019. Likewise, Tigné Mall plc and Main Street Complex plc trended higher albeit on insignificant volumes. On the other hand, HSBC Bank Malta plc, GO plc, Mapfre Middlesea plc and PG plc all trended in negative territory albeit on shallow activity. Similarly, International Hotel Investments plc shed 3.2% back to the €0.75 level across 10 deals totalling 285,598 shares. The RF MGS Index edged minimally lower to 1,109.854 points as the benchmark 10-year German Bund yield slipped back to the 0.08% level due to renewed uncertainty on Brexit following the UK’s formal request to extend Brexit until June 30.